Buy XCOM 2 cd key for PC in digital version at best price is already possible by Gocdkeys! You can preorder XCOM 2 for Steam in any of the online shops registered in our price comparison site. To activate the download from Steam, you must add the digital serial of XCOM 2 into your user account. XCOM 2 is the sequel to the 2012 award-winning strategy game called XCOM: Enemy Unknown. It puts us in a near future where Earth has changed. Twenty years have passed since world leaders offered an unconditional surrender to the alien forces, and XCOM, the last line of defense of the planet, was decimated and scattered. Now the aliens dominate Earth. XCOM forces must find a way to rise from the ashes, expose the truth behind the insidious occupation and eliminate the alien threat once for all. 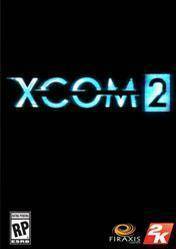 This new release will allow us to play in the Xcom universe like never before: Fighting tactical guerrilla platoons and evolution of characters, research into new weapons, the possibility of applying mod created by the community, a fast-paced and fun multiplayer, a significant graphical upgrade, interface changes, five different classes of soldiers, each with their own unique skill tree and many more news we can find out from November 1, 2015, launch date of the game. Remember that all stores appearing in gocdkeys have been tested by our team so they are 100% reliable, even so, we recommended you to carefully read the specifications in each store at the time of shipping, ways of activation (in case they are digital versions) and methods of payment. There are no comments yet about XCOM 2 . You can be the first one!